A very good day I bid to all. So based on the title itself, our Innovation Day was held on the third of June 2016 which was three days ago. 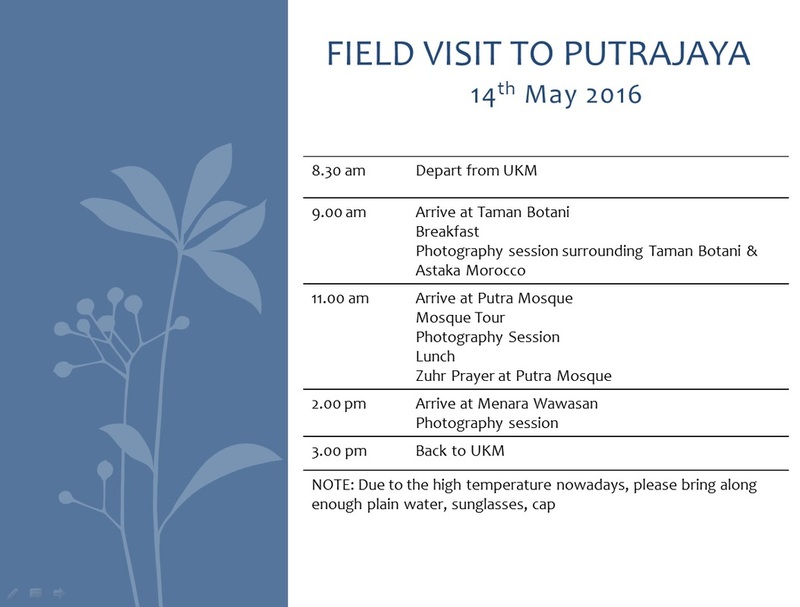 We are asked to arrive at Dewan Budiman at 8 am to prepare the hall and ourselves before the guests come. As we are in charge of the protocol, we distributed the work evenly beforehand. The guests arrive at 9 am and by then we were already prepared. The event kicks off with a few speeches and introduction with the objectives of the event. Earlier on, each groups were already given their order of presentation. We were the second last group to present. The thought of it is just nerve-wrecking! As we were told earlier, we are supposed to make our presentation creative. With 10 minutes allocated for each group, we decided to pitch for at least two minutes and eight minutes for our video. 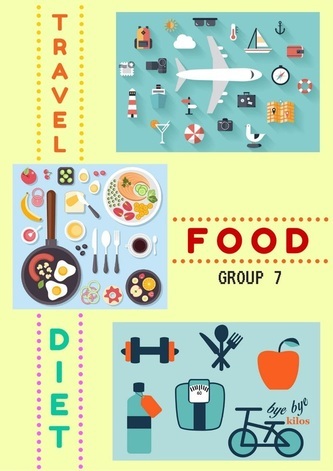 Therefore, we decided to make our introduction a bit different than others, as we decided to do a catwalk to showcase the title of our video, Travel, Food and Diet. 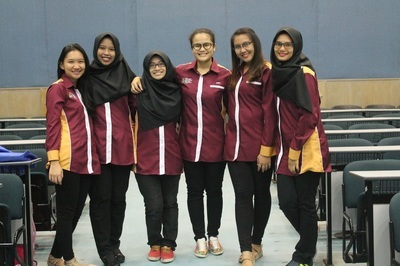 For travel, Novelia and Marjan catwalk with their luggages; food, Sharifah Atirah and Wirda ate and shared their meals and lastly for diet, Naufal pose in a pilates move whereas I pose with the dumbbell. The pitching was done by Naufal and I. I find our presentation really exciting and eye-catching as everyone was paying attention from the beginning till the end of our presentation. I believe that we could have done better in the execution of our pitching but we did our best and I am pretty sure we stole the show at the moment there. The other groups also excel in presenting their video and pitching session. I personally enjoyed Fatin Kamilia's and Fikri's group video presentation as I find it very informative and enjoyable. 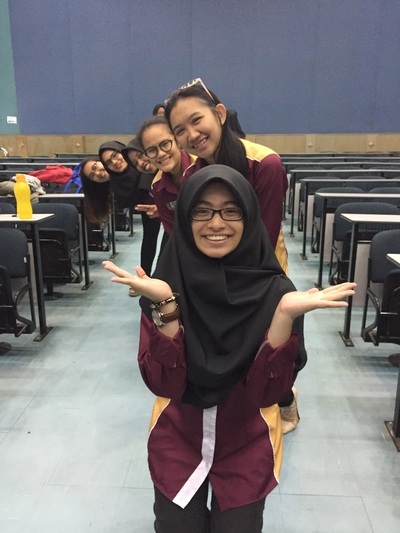 Fatin Kamilia's group video was based on how to save up and travel economically whereas Fikri's is on influential friends and how money can change a person. All in all, everyone did great. Right after every presentation, judges gave each group scores as a few of my classmates perform to kill time. Naufal recited two poems whereas Hasmirah sang, "Let It Go" by Demi Lovato. A short video presentation was presented done by the multimedia team. It was based on the fourteen weeks we spend together and how this course affected us. It was time to announce the winner. Once the Dean of Education arrive and said her piece of mind, the announcement of the winners came to place. 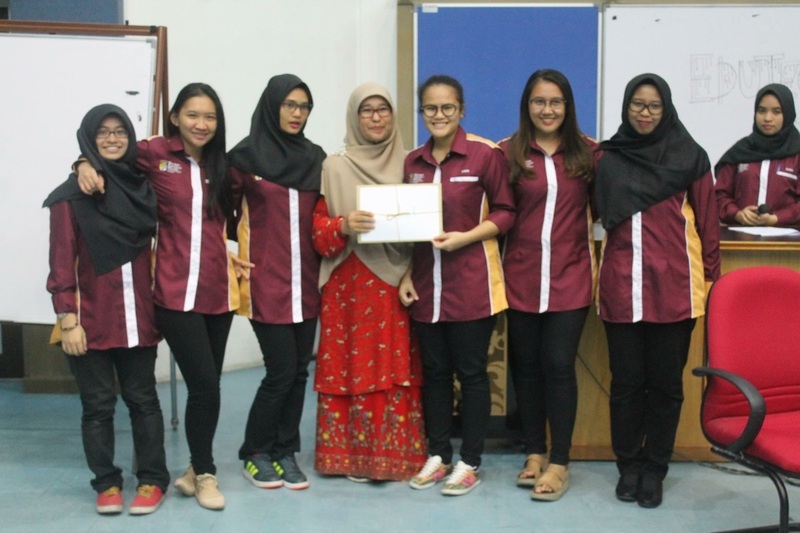 Fatin Kamilia's group won first place whereas Fikri's, third place! Congratulations guys! Unfortunately, we did not manage to get a place however as what everyone would normally say, the experience is what that matters. I believe that we could have won a spot if our video was more informative and if the message is more clearer and educational. However, great job Sharifah Atirah in editing the video as from my perspective, our video was top-notch! All in all, what I learnt so far in the execution of this event is that compromise and teamwork is important. There will always be flaws in any events however it is the flaws where we learn to improve ourself better for future events. Teamwork is important especially when you work with a large number of people with different interest and view plus perspective from you. However compromising with one another is what one should do get a mutual agreement or understanding. Although we may have different opinions on certain things, but we manage to tolerate and accept others views and try to take each opinion seriously. It is sad that all good things have to come to an end. This event marks the end of the course. I enjoyed every bit of this course as I have learnt a lot not only in terms of educational technology but also in terms of friendship and teamwork. This course have exposed me into different environment, with many mini adventures and treasurable memories. With that, I end this reflection with a smile on my face; with hopes that we all will ace this course with flying colors. For today's agenda, our class is canceled once again. 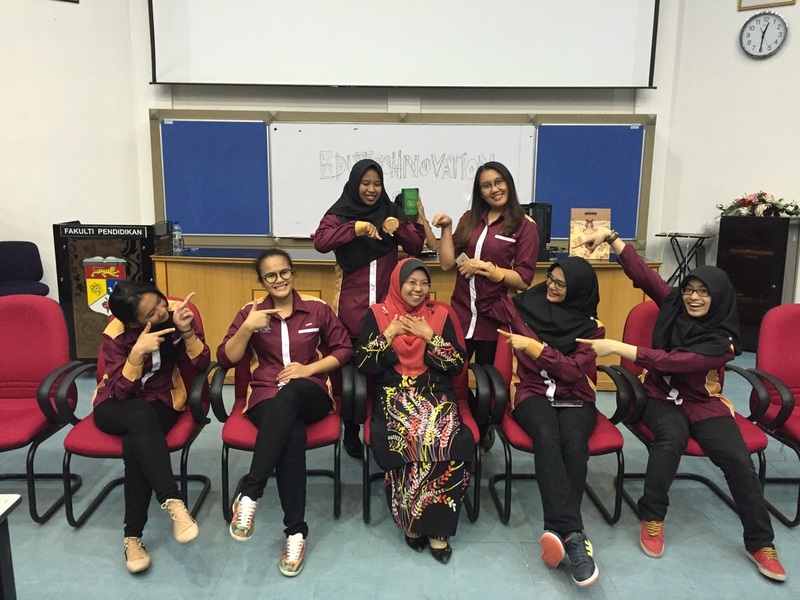 In conjunction of our Innovation Day, our beloved lecturers decided to give us some time on our own to manage the event beforehand. Apart from that, we are able to work on our video before the big day. Sharifah Atirah was basically in charge on the video and we are always there to assist her at all times. As I have mentioned earlier, we were in charge of the protocol department. 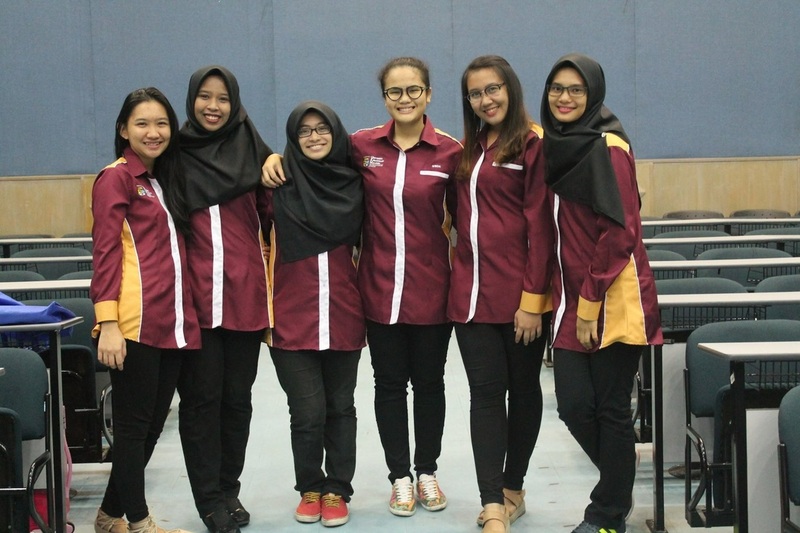 With that, we are automatically in charge of the emcees, being usher-er and getting ready scripts for the emcees and officiator. Although it may seemed simple, but ensuring that everything runs smoothly is quite pressuring. Naqib Syahmi, our director for this event conducted two meetings to ensure that the tentative runs smoothly. Each department send one representative in the first meeting, as the second meeting everyone was asked to participated to have a run through or in other words, a short simulation of the event. We decided to choose Nur Amira Irdeena and Ismail as our main emcees for the event. With Irdeena's prior experiences, we decided that she was the best there is whereas for Ismail case, he volunteered himself. Well done Ismail! The arriving of this event got me thinking how close we are to the end of this course. It is almost the end of week 13 and it is amazing how much knowledge or input we acquire so far. I personally think that our meetings went smoothly and on par with our written tentative that we discussed earlier. Although there are glitches such as our lack of experience in being usher-ers (that would be me), but the experience is all that matter. Being usher-er is not as simple as it seemed as you need to be in sync with the vip! Feeling reluctant with this position as I am in charge of being the usher-er for the Dean of Education, but let's hope I still have a bit of courage within me. Hoping that everything runs smoothly next Friday! In today’s agenda, Dr. Khalid and Dr. Fariza are here to help us by giving comments and positive criticism in the development of our video production. Hence, we are required to present a few clips that we have personally edited beforehand for both lecturers to watch. During our presentation, we can see that our message is presented quite clear to the viewers for our goal is to emphasize on the wonderful and delicious food that could give a mouth-watering sensation within the viewers as they watch the clips. 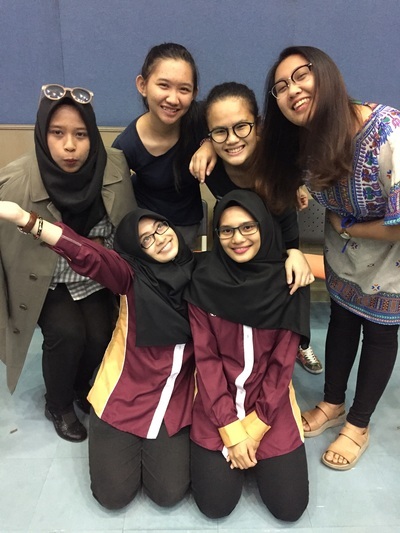 Sharifah Atirah did a great job in editing the videos despite being just mini clips of it. Our classmates were quite thrilled as they enjoyed the clips we have shown. Even so, Dr. Fariza and Dr. Khalid gave us a few comments regarding on the clips shown. She mentioned that a scene from the clip that we shoot; we have to slow down the clip to enable the viewers to get a glimpse of everything. Apart from that, a few clip from a scene where three of our members was shoot eating ais kepal was asked to reduce to ensure that the video would not be too draggy and long. This, from my opinion could also give us more option to add more clips or scene to make our video more interesting. Other than that, she also commented that we should use various way in shooting the clips or scene. We regularly use the slow motion way of shooting to emphasize on the meal to show the audience how irresistible it is. Probably we should have try other ways of shooting but no fret, we still have time to fix it. I personally find that our video is quite informative and edited well. Although there are flaws but there is always room for improvement. We received good comment from everyone regarding on our video; from the quality of our video and the clips that we have shown that gotten everyone sitting on the edge of their sits wishing they could have a bite of the meals we have shown earlier on. 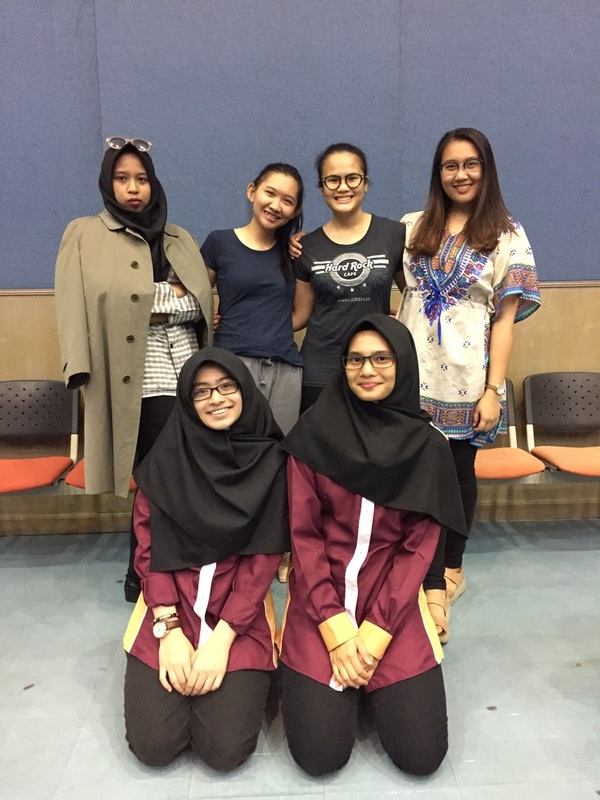 The other groups did really well too; I personally enjoyed Natasha’s group presentation as their video is quite informative regarding on travel tips. I could not wait to watch their final production later on. Apart from that, I enjoyed the teaser video from Fikri’s group! It was executed well too. I was not able to go to class today regarding on my health issues. Based on my group mates, each group are required to present on their video progress by showcasing a teaser or trailer for the lecturers and classmates to see. Sharifah Atirah have prepared a fun and exciting trailer; thank you. A few positive remarks were given by Dr. Khalid regarding on our video which is quite a relief as editing videos is tiring and knowing that your effort is appreciated makes it more meaningful. Dr. Khalid brief on our trip to Putrajaya regarding on transportation and what our assignment is all about. We basically have to capture at least 15 pictures individually and edit it. The next step is to create a Flickr account and upload it there. Personally, I am looking forward to this assignment as photography is actually an interesting activity to begin with. Capturing the right moment and presenting your own view or interpretation of the picture to others is what art is all about. Apart from that, this could also help us bond and sharpen our photography skills. Be it using a DSLR or a phone camera, this skills will help us in the future. Within this few weeks left, our class focused more on video production. Hence, for today’s agenda, Dr. Khalid and Dr. Rosseni is available to comment and help us with the development of our video. 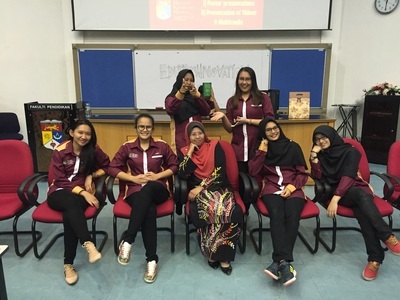 Both lecturers gave positive feedbacks and comments to every group that presented. 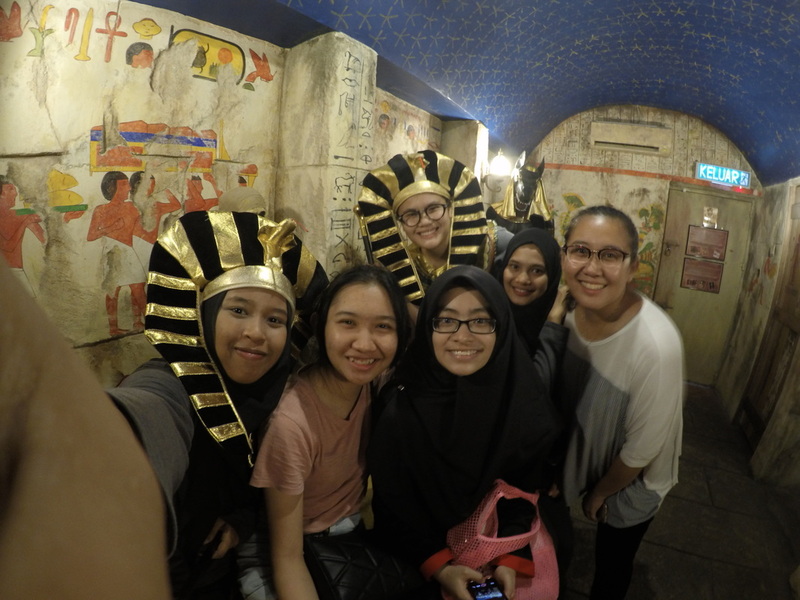 I personally looking forward to Natasha group as their group will talk about travelling and this particular topic is quite interesting especially for us students as at this age; we are always up for adventures and being independent. Once our group have finish presenting; we refer back to our original storyboard, Dr. Rosseni and Dr. Khalid was not fully satisfied with the development and the message of our video. The mentioning on how the message that we wish to present is not educational enough hence we should improve it so it will be more educational based. We decided to change the storyboard a bit into; what to do after you travel. We decided to go with this theme; surprisingly both lecturers approve with this idea. The idea basically emphasize on what a person should do after travelling. Usually at a foreign place, we would just devour any food available to survive the day. No conscious of the calories intake or how oily it is, the aim of travelling is to enjoy oneself and not stress out with anything. Hence, our video aim to tell the viewers how important it is to fix back one diet after travelling to get back in shape; being fit as a fiddle. I personally find this message better than the one before and I am glad we are able to make the changes before starting any editing yet. I was not able to come to class today; being sick is apparently a norm for me lately as the weather is constantly changing hence I get affected easily. However, I was able to seek some knowledge from my group mates regarding on the agenda today. Apparently, the topic was on photography. For me, I was always interested in photography as I believe that everyone has their own view and perspective about the things they captured for every photos tells and holds a thousand interpretations. I believe that art comes in all different forms; photography being the most obvious one. Example; the Mona Lisa is a famous art and I personally think that there is more than just her smile behind the art itself. Moving forward, Dr. Fariza showed the class pictures she have taken when she travels or go for an outing. She introduced some apps we can download online such as VSCO cam which is quite famous right now and is used by young adults that is into photography. I personally enjoyed VSCO cam as the filter does justice towards the photo I taken. So apparently, there are many terms in photography that I am still not aware. Although I am exposed to the usage of a DSLR or a phone camera, however I am not equipped with the knowledge on the terms that is used or can be seen in the device. With that, here is a few terms that I wish to share that I found online. This enable me to understand what exactly the terms does. For force, it basically highlight the measurement of the area in focus within an image, from the closest point of focus to the furthest point of focus. 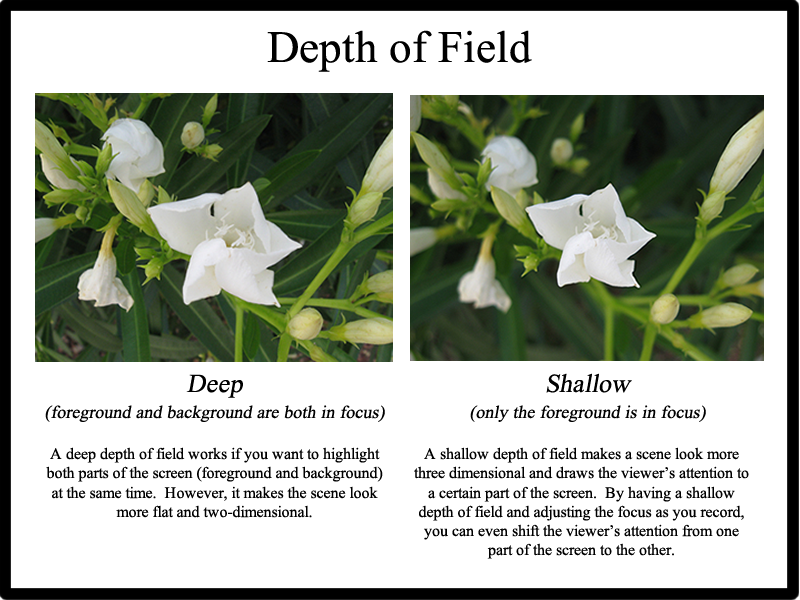 For depth of field, it literally show the measure of how much the background and foreground area before and beyond your subject is in focus. This depth can be increased by stopping the lens down to smaller apertures. 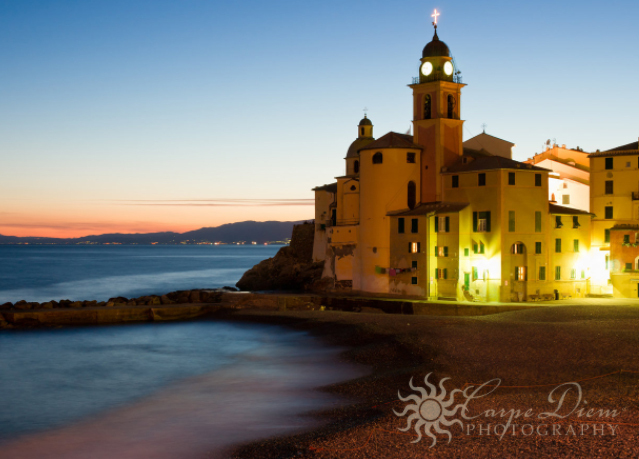 In addition to that, this can be done by opening the lens to a wider aperture hence it will narrow the depth of field. Basically, a watermark is an image or icon that is embedded into the photograph which refers to information of the photographer to protect the copyrights of the image. Exposure is known as the phenomenon of light striking the surface of film or a digital imaging sensor. The exposure is determined by the volume of light passing through the lens aperture combined with the duration of the exposure or shutter speed. 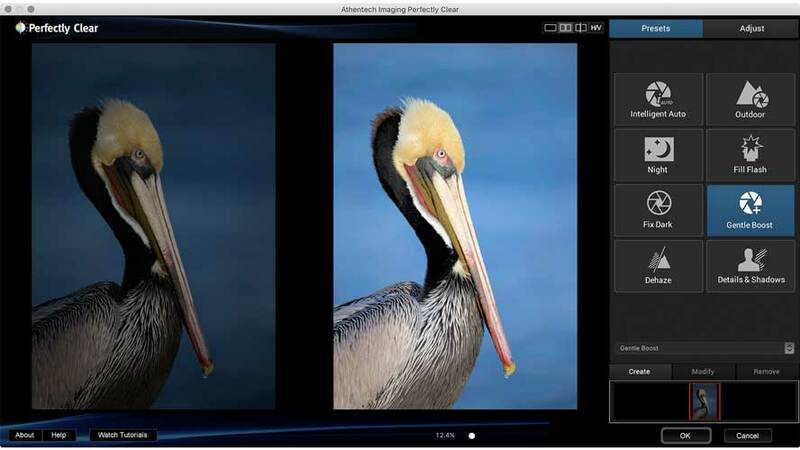 The proper exposure, which is best determined using a light meter, can be established in a number of exposure modes including manual, program or automatic, shutter priority and aperture priority. Mid semester break is over, it is time to get back to business. For this week agenda, Dr. Khalid take us down to memory lane by educating us with one of the famous most useful software; Windows Movie Maker. I have experience using this software before, however it is nice to get a glimpse of learning the basics once more. To be honest, editing videos is not really my cup of tea as it consumes a lot of time and we need to be creative in order to produce an interesting video to intrigue the viewers or audience to pay attention to every detail we wish to highlight. The task today basically is to test our skills on making and editing videos using Windows Movie Maker. Earlier on, Dr. Khalid highlight the top five traits a video should have. I personally think that not all the traits is needed as sometimes the video is enough to present the message needed. Even so, learning all five traits is not a bad thing so here is the top five traits that is believed every video should have. We are assigned each individually to edit a video by combining a few videos online to make into our very own. We are required to add some of the elements to make our video interesting. Hence, I decided to make a food video. I was not able to add audio for the computers in the lab does not have any speaker available, however I was quite happy with the result. Here is the video that I edited. Personally, I think I could have done better, but because of time constraint and my-own-fault-for-not-bringing-my-earphone, I could not execute the task better. This task literally test my creativity to combine the videos into making it something interesting for the viewers to pay their full attention. 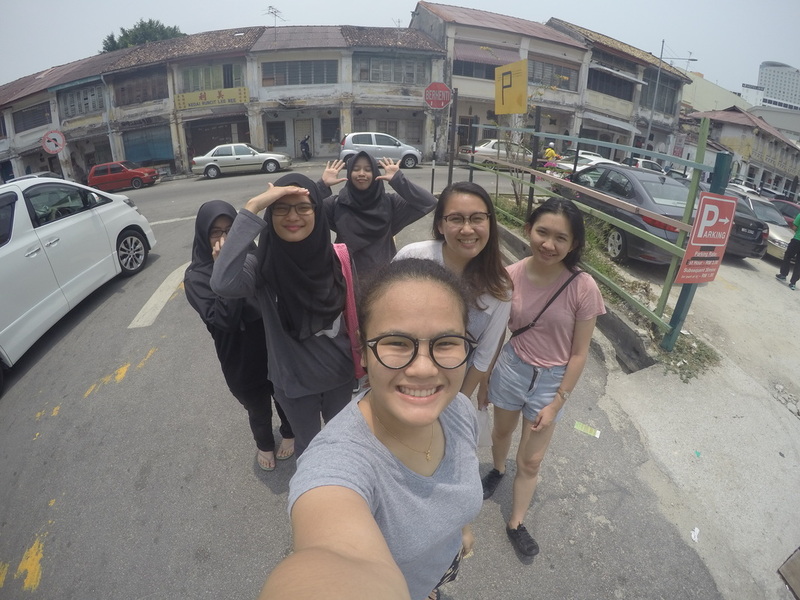 Probably I could done better throughout the video production for our Penang trip later on. This week we have our very first virtual classroom as mid semester break was going on and the lecturers decided to let us off earlier! 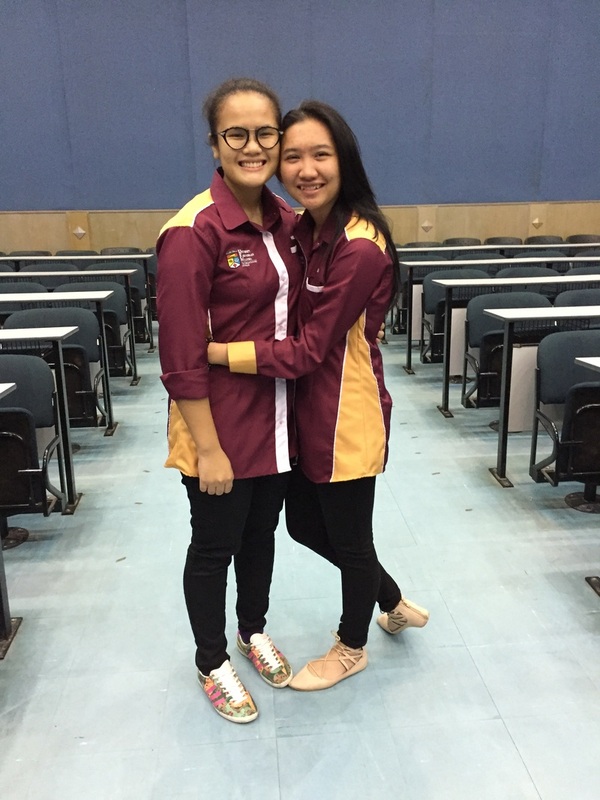 :) However, we were assigned to fix our storyboard and get consultation from the lecturers about our idea. 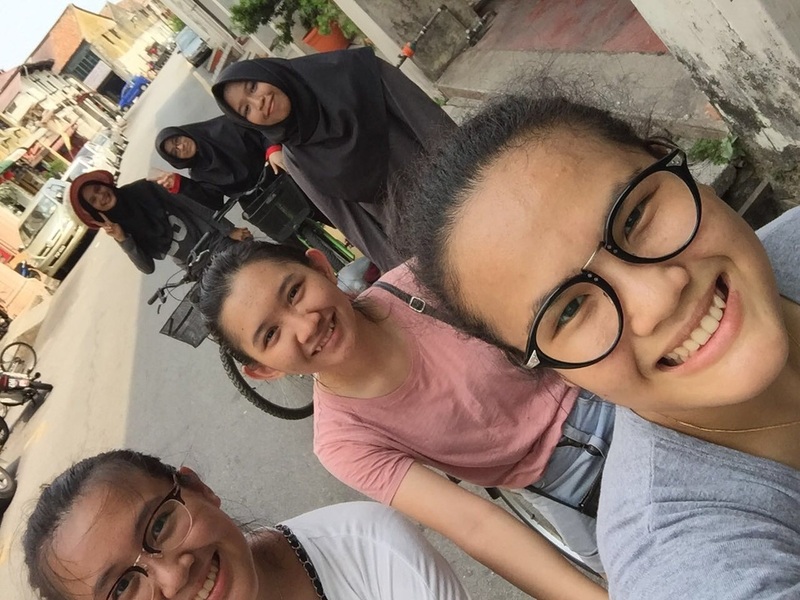 We decided to carry on with our original idea, which is the trip to Penang; where we emphasize on the intake of calories that one should watch out when you eat a meal and how you can decrease your calorie consumption by exercising. Our idea was originally approve by all lecturers; hence we decided to carry on with this idea. 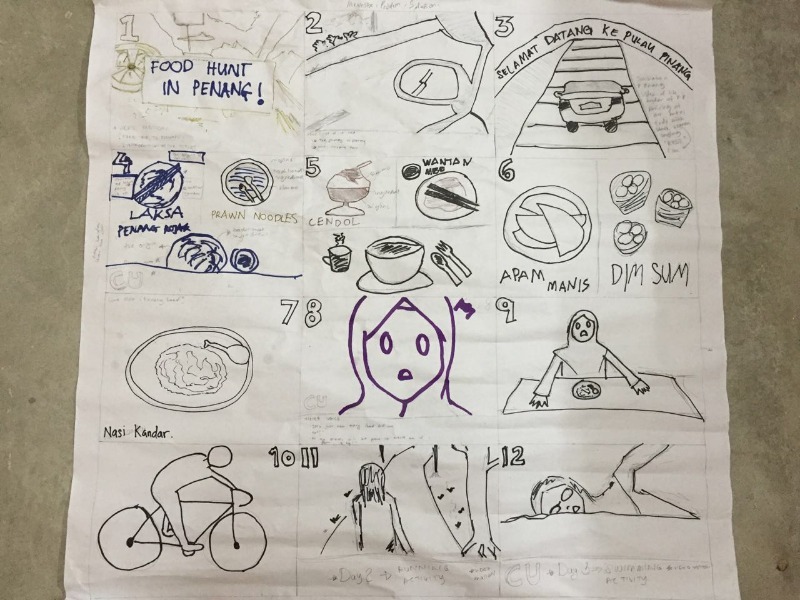 For our storyboard, we did not use any software or app to execute our ideas, but by drawing it out on a piece of mahjong paper with pen and markers. Our lecturer today was the one and only male lecturer for this course; Dr Khalid. He led the class today with a lecture on Principle of Multimedia and audio/sound editing. The class kicks off with a power point presentation on the types of multimedia there is. The five main elements that one should put in a video is; audio/sound text, clips, photos and storyboard. Dr. Khalid then show us a video from youtube, to give us a glimpse on the types of video there is and how audio or sounds plays an important role in it. He showed us two videos, one made by himself and another a complete stranger. Both videos have its advantages and weaknesses and with that Dr. Khalid gathered us in groups to discuss about it. At first, I was taken aback with this task as we are supposed to criticize a video that he personally made during his trip to the Death Valley. However, he was quite laid back and received the criticism maturely with an open heart. His video lack in terms of video clips and choice of song whereas the other video lacks in term of text and photos. However, both video are able to imply to us audience the message they wish to show. Moving forward, Dr. Kahlid then introduced us to an audio editing software by the name Audacity to get us exposed to this particular software in case we would need it for our video editing session later on. He gave us a task to mash up two songs together and present it later on. This task was quite challenging as we were not exposed to this software. For me personally, I have come across this software before however I never have the chance to work it out as I did only a small editing for some audio for a task before. Having to do a mashup was an entire new phase and it took us at least 20 minutes to figure everything out. In today’s agenda, we had a lecture by Dr. Fariza on traditional versus modern tools in teaching. Basically we are exposed to these tools for a long time specifically throughout our school days. As our age increased, the era is growing as well. Teaching aids progressed into something more advanced than before. Quite rarely to see teachers especially the ones located in the city areas to use manila card, mahjong paper or a blackboard with chalk to teach the students. Nowadays, teachers equipped themselves with knowledge based on tech software by going to courses from time to time. This is because some of them are not exposed with these varieties of teaching aids as they are too used or stuck in time where they prefer using traditional method or tools in teaching. From my opinion, not that it is wrong to do so, as the aim of this tools is to implement knowledge. If using chalk and a blackboard could help the students get good grades, then why not? Having technology in class can be a distraction too sometimes as students may not get the aim of the lesson and paid attention on something else instead. Both methods have its pros and consequences but basically it depend on the teacher themselves; how they use the tools to carry on the teaching and learning process. I have went through session with teachers using both method and was able to pass the subject taught without fail. So basically, aids or no aids, it really depends on the teacher themselves. Enjoys poetry and a good book. Infatuated with cats.